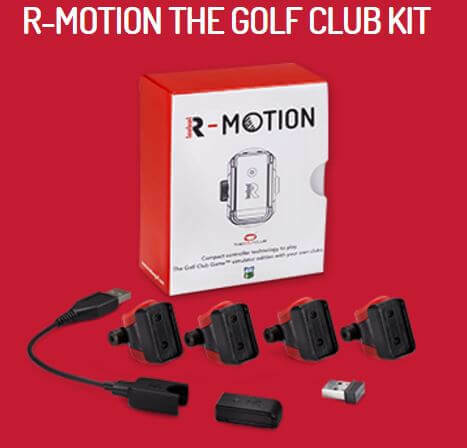 The R-Motion is quite simply the most accurate of the clip on golf club analyzers that we have come across. So much so that The Golf Club Game has put its name to it and can be played as a Golf Simulator. The system comes with 4 clips and an extra 10 can be purchased if required. The software is The Golf Club Game lite which has 15 courses and can be upgraded to the full 100000 courses. The accuracy we found to be fantastic in terms of distance and shape of shot and for an affordable home practice system this is a step up from the sensor board type of affordable simulation. Together with The Golf Club Game the whole package is complete.